Item # 308471 Stash Points: 9,995 (?) This is the number of points you get in The Zumiez Stash for purchasing this item. Stash points are redeemable for exclusive rewards only available to Zumiez Stash members. To redeem your points check out the rewards catalog on thestash.zumiez.com. First debuting in 1987, PUMA had introduced to the world their state-of-the-art Running System Technology, boasting comfort and athletic performance on par with athletes of the day. 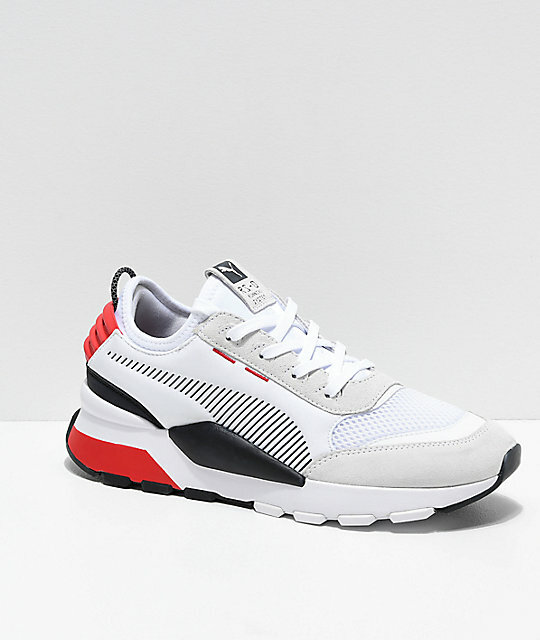 Now, PUMA is back, re-introducing their breakthrough collection with the all-new RS-O Winter INJ Toys White and Red Shoes. A homage to the meaning of "toys," as something to play with and collect, these sneakers come designed with a playful combination material upper, an exaggerated midsole and a contemporary one-piece bootie construction for comfort. 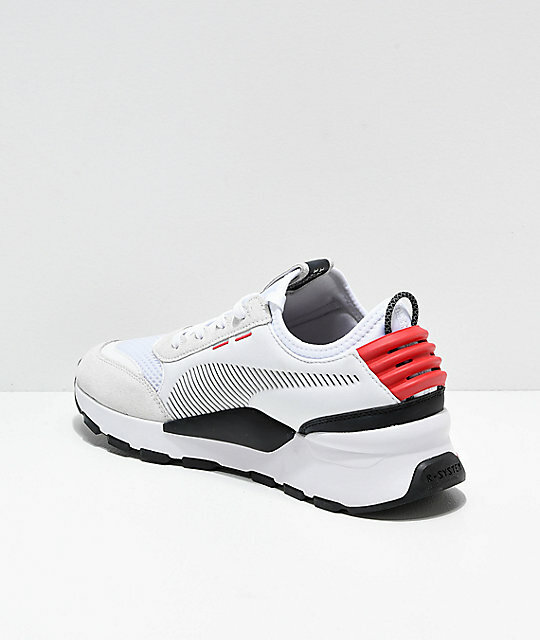 RS-0 Winter INJ Toys White and Red Shoes from PUMA. Part of PUMA's Running System (RS) Toys collection. 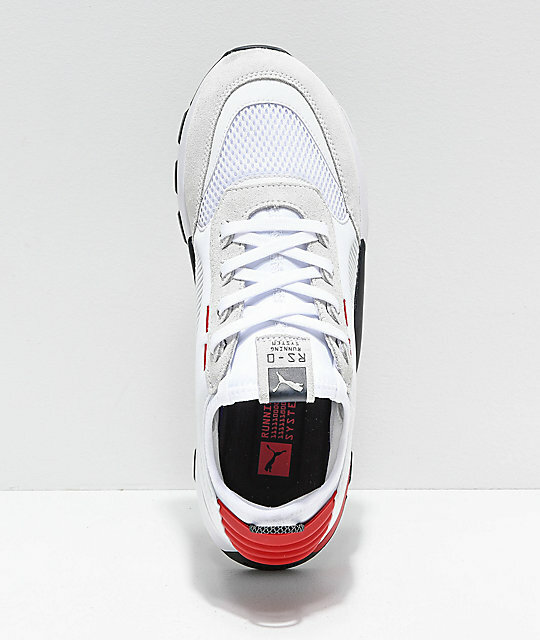 Combination suede, leather, soft textile and mesh upper. Rubber molded heel piece for structure. 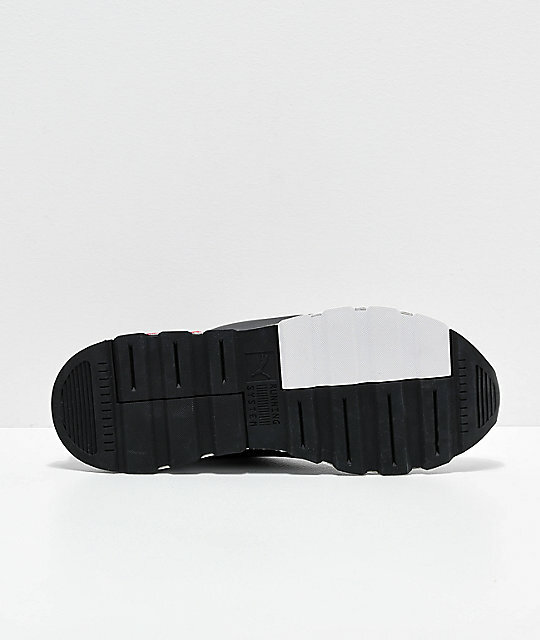 Woven heel tab for easy-on-and-off access.